You might remember my initial post, filled with anticipation, giddyness, and a watering mouth. Well, The Main Ingredient Ale House & Cafe (TMI) is open and lives up to the hype. “Hype” might not be the right word, considering this place is all about casual and easy-going, relaxing on their patio or maybe in front of the fireplace inside. The old Phoenix home is still there is spirit, enough to feel cozy with your beer and surprisingly delicious food. The menu is unassuming, with Starters, Salads, Hot Sandwiches and Dessert, but what they do, they do well. They have some of the absolute best chips and salsa I’ve had in this town (and I’ve nearly tried them ALL), which pairs beautifully, by the way, with their Coke or Coke Light from Sonora, Mexico (yes, it’s an entirely different product). 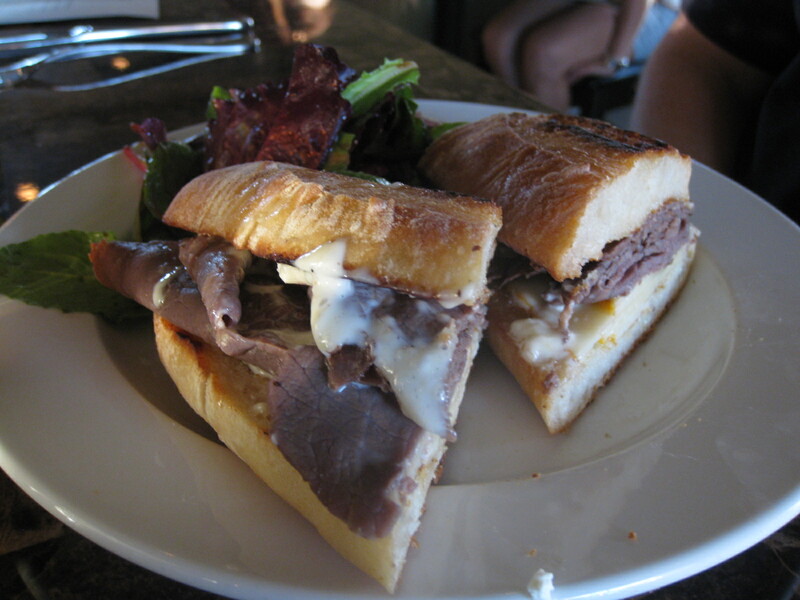 I could go on about the food – the Tuna Salad Salad, the Red Goat, Mindy’s Mac ‘n Cheese, The Sheridan sandwich, the Jive Turkey or The Calvano (with sopressata, aged provolone, artichoke hearts, roasted red peppers) are all amazing and use local ingredients where they can. But you also come for the beer. It is called an Ale House, and while the adult beverages list is also heavy on wine, it has eight on draught, half of those from our great state. The Four Peaks Hefeweizen pairs gloriously with their patio and a pair of sunglasses, by the way.The bottle list is more extensive, and draws heavily from the lauded beers of the Western region. 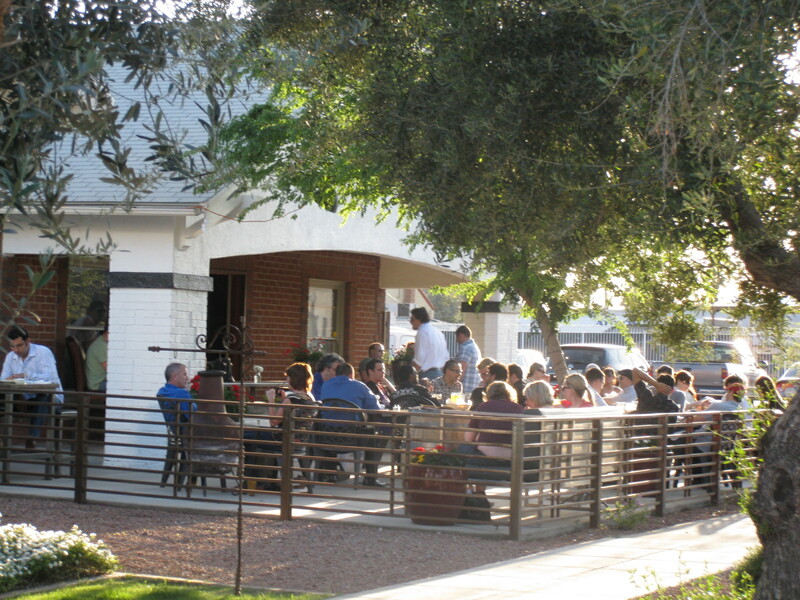 Whatever you come for – the food, the drink, the atmosphere – this is a place that has made a great first impression on the Phoenix crowd and it’ll be around for a while. 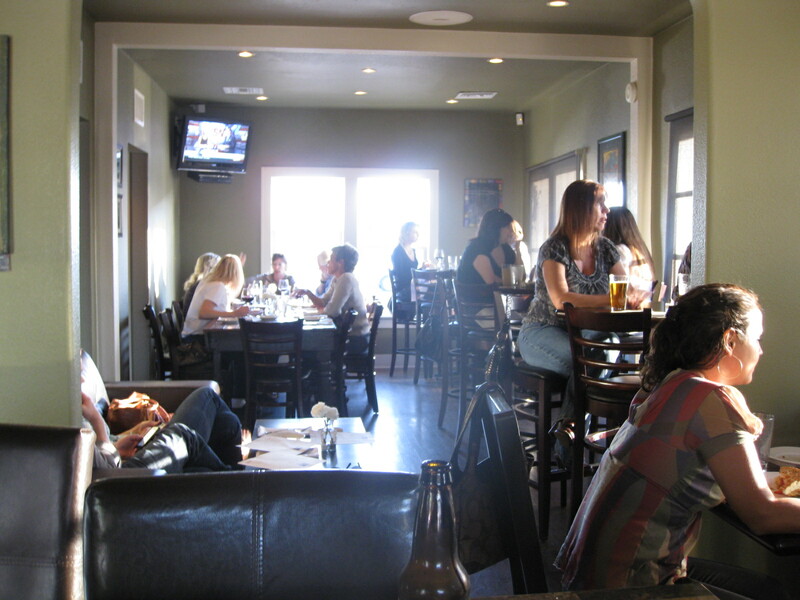 This entry was posted in dinner, downtown phoenix, food, happy hour, Kelley. Bookmark the permalink.